I can just imagine the smiles provoked by coming upon Milan-based street artist Guildor’s floating phrases. 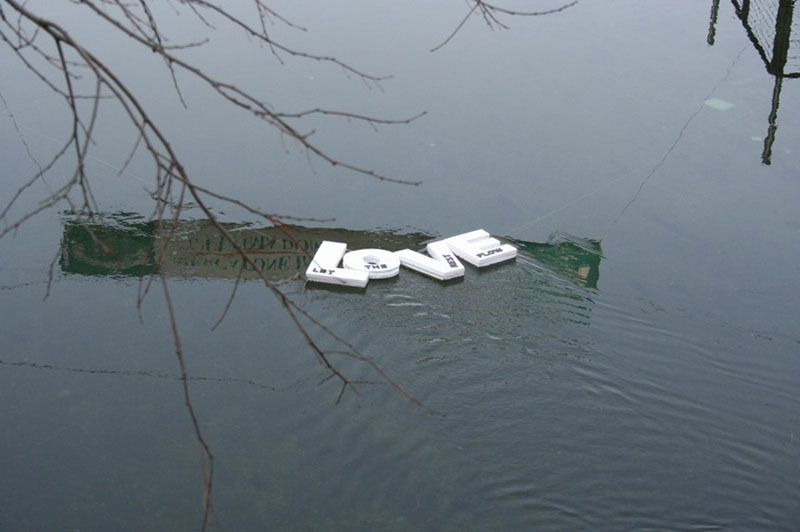 Write on the Water (love the punniness) is a series of installations created by the artist in several cities including Amsterdam, Milan, and Venice. 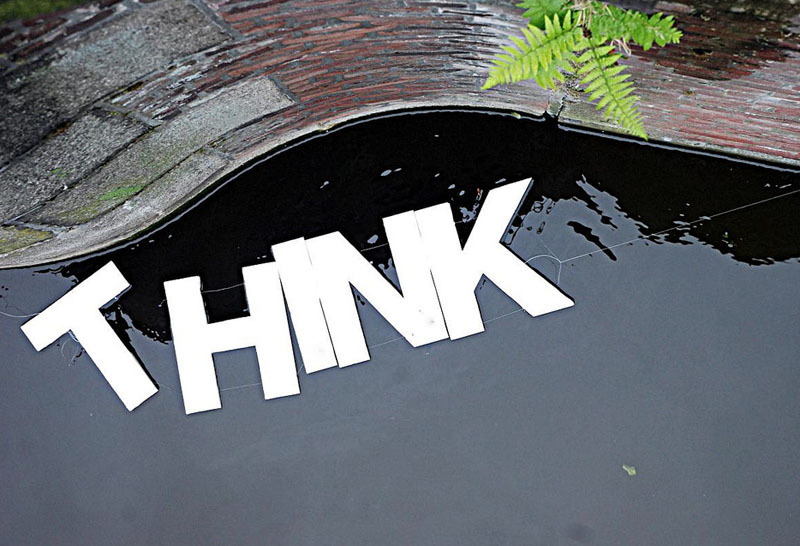 Linking foam letters together to create words and statements such as “Clap First”, “Happiness Happens”, “Think Once and a Half”, “Pensa Spensierato (Think Carefree)”, and “Love; Let the Rest Flow” and floating them on water – from fountains to rivers and canals – is simply a happy and nice concept. Writing on water is like writing down a thought in order to keep it secure even when it is shaken by the course of life, to distinguish the important things from those you should just let flow by. If you like this you’d probably enjoy Nicole Dextras’ Ice Typography installations, too. Top photo by Nicole Blommers; Once and HA photos by Andrea Bertolotti; all others by Thomas Pagani.